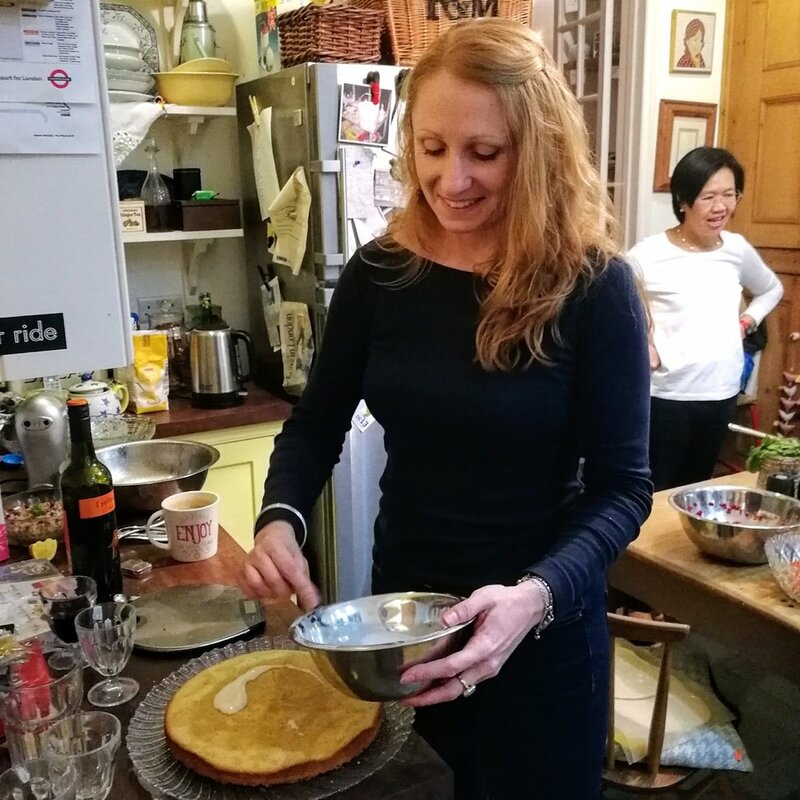 Burrows&Bird founder, Victoria Burrows, cooked a Persian feast for 14 guests on 24 March to raise funds for Médecins sans Frontières. The evening was organised and hosted by one of London's top charity dinner clubs, Parkholme Supper Club, in Dalston, Northeast London. Victoria headed a team of six volunteer cooks to produce a range of dishes that would give diners a taste of the unique and diverse flavours of Iran. 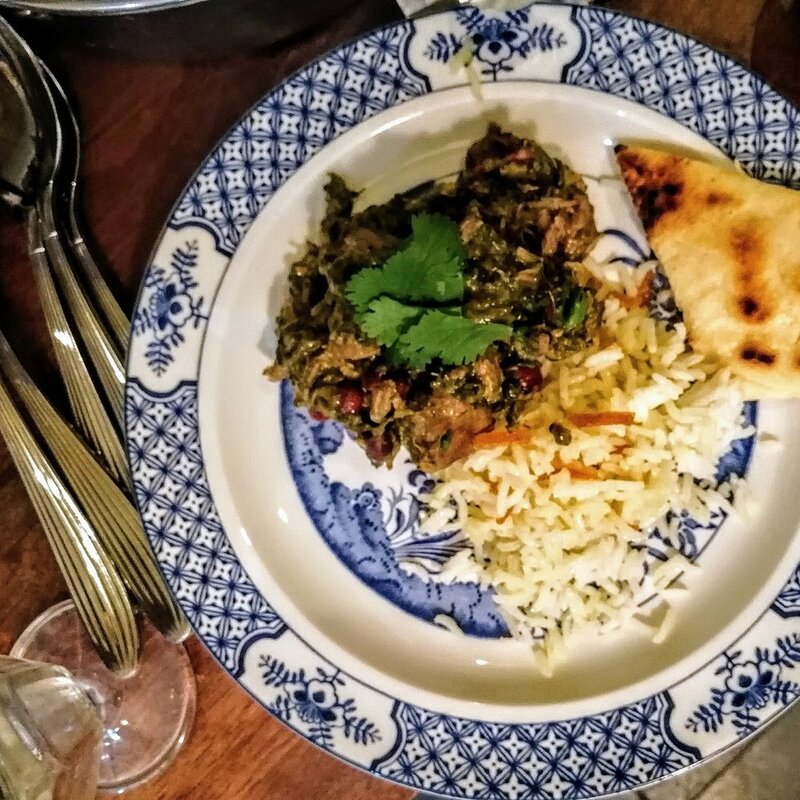 The evening started with a smoky aubergine dip served alongside borani-ye laboo, a dip of beetroot and mint yoghurt, served with freshly baked Iranian bread. Salad Shirazi, a refreshing blend of chopped tomato, cucumber, onion and radish with a mint and lemon dressing, accompanied the starters. For mains, she served gormeh sabzi, a lamb stew scented with dried lemons and plenty of fresh coriander, parsley, chives and fenugreek leaves, as well as fesenjoon, another unique classic of Persian cooking which involves simmering ground walnuts for hours until they turn into a sauce almost like chocolate. The richness is balanced with a hint of sour pomegranate molasses. The main dishes came with two varieties of rice: saffron rice (plain rice lifted with a hint of the Middle East’s most valued spice) and what Victoria refers to as "marmalade” rice, a dish she first tried at Tehran's Grand Bazaar which comes topped with sweet orange rind, rose water and pistachio. Kuku-ye mahi, fish cakes with a tamarind dipping sauce from Bandar Abbas, a town in southern Iran, gave diners a taste of coastal Iranian food. For dessert, guests enjoyed Persian love cake, which is sweetly scented with rose, lemon and cardamom, and yoghurt cake topped with poached figs, which comes from the Northwest of Iran where Turkish culture is more prevalent. The dinner ended with fresh mint tea served in vintage China teacups, while merry guests – now new friends – swapped emails and phone numbers. Victoria and the other volunteer cooks and servers received many compliments about the food and experience overall. If you would like Victoria to cook authentic Persian food and/ or give a talk on Iran for your guests, please get in touch.